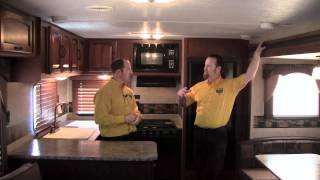 Keystone RV is the #1 manufacturer of recreational vehicles in North America. You'll find Keystone RVs available in all types and sizes of towables. From ultra light weight travel trailers that can be towed by the new fuel-efficient cross over vehicles and smaller pick up trucks to luxurious fifth wheels, you can find a a Keystone RV that's just right for you.